1 Who is Anna Kooiman? 2 What Happened to Anna Kooiman? 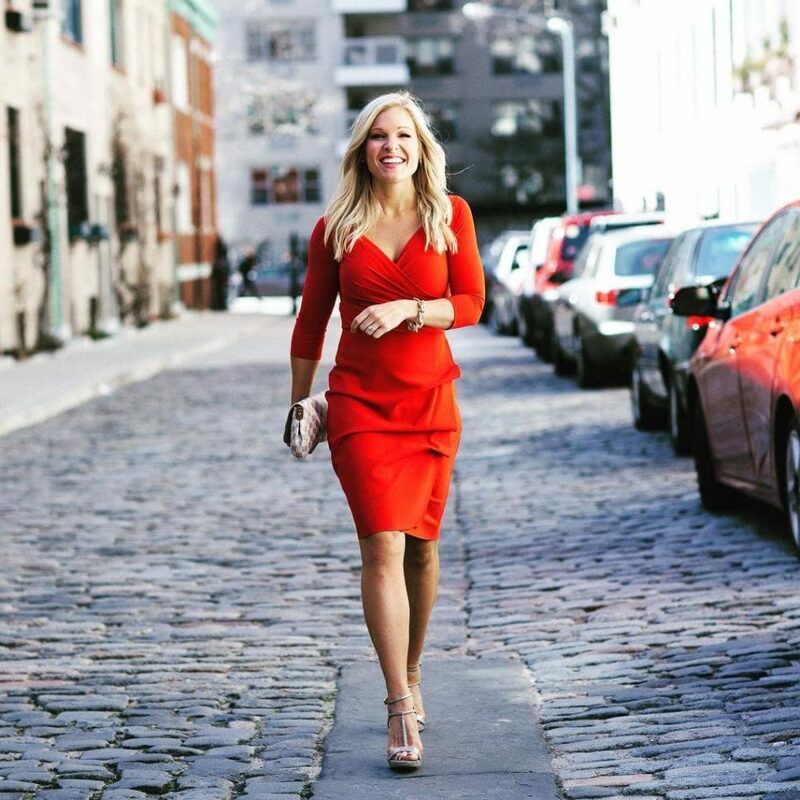 7 Do You Know How Rich Anna Kooiman Is? 8 Do You Know About Anna’s Personal Life, Marriage, Children, Husband? Born Anna Brooks Kooiman on the 7th February 1984 in Charlotte, North Carolina USA, she is a television host, journalist, and news anchor, best known to the world for her extensive work with Fox News Channel from 2011 until 2016. She featured in a number of daily talk shows on Fox, including “Fox and Friends” (2012-2016), and “Fox Report”, among many others. What Happened to Anna Kooiman? As many of you probably known, Anna left Fox News in September 2016 in order to focus more on her growing family. Anna and her husband, Tim Stuckey moved to Sydney, Australia and have lived there ever since. She hasn’t left the job of a news anchorwoman and TV host, as she can be seen on Australian channels Studio 10, and The Project. Anna, of Dutch ancestry, is the daughter of Wally Kooiman and his wife Susan. She grew up in Charlotte with her brother Michael and went to Myers Park High School, from which she matriculated in 2002. Anna then enrolled at the University of North Carolina at Wilmington, where she studied journalism. During her university years, Anna became a part of Fox Sports as a sideline reporter, then following her graduation, she found a place for herself at WWAY, an ABC affiliate TV station located in Wilmington. She honed her skills as a reporter, anchor, and video journalist for two years at the station, before she switched and moved to Toledo, Ohio, to a job at the local NBC affiliate WNWO station, as a morning anchor and reporter. She remained there from January 2007 until May 2008, and during this time she was a part of the U.S. Marshals partnerships as their franchise reporter, and while she was there, Marshals captured over 100 fugitives. Anna then returned to her hometown of Charlotte, where she became a part of Fox News Rising as an anchor/reporter/host. She was seen on the four-hour news and entertainment morning show on the then-FOX affiliate WCCB, and remained there until 2011 reporting on local stories, weather, local traffic and entertainment in Charlotte. During her time as a part of the Fox Rising Stars program, Anna was noticed for her hard work and dedication. She never quit and did her job with love, which caught the attention of the major, umbrella network, and as a result, Anna was recruited by the Fox News Channel as a New York-based correspondent, covering stories related to health and fitness, while also generally important events in New York. Gradually her role at Fox News Channel grew, and she was named guest-host of the “Fox and Friends” show in 2012, while she also reported on events from various areas of the USA, including the attacks in San Bernardino, California, then Orlando, Florida, while she was also given the assignment of covering natural disasters including weather-related events such as Super Storm Sandy, tornadoes and the 2016 US blizzard, among other events. During her time at Fox News, Anna contributed to a number of daily shows, such as of course “Fox and Friends”, of which she was a co-host for some time, then “America’s Newsroom” (2012-2013), and “Happening Now”, among several others, that helped her in being noticed by the public. However, in September 2016 Anna left Fox News and moved to Australia, where she made a deal to work for Australia’s Network Ten, which at the time was owned by Fox, but since has been sold to CBS. Do You Know How Rich Anna Kooiman Is? Anna has become quite a successful news anchor and reporter, which can be seen in her career endeavors. She has worked for several prestigious TV networks, including Fox News, which has only increased her net worth. So, have you ever wondered how rich Anna Kooiman is, as of mid- 2018? According to authoritative sources, it has been estimated that Kooiman’s net worth is as high as $3.8 million, while her yearly salary amounts $350,000. Pretty impressive don’t you think? Do You Know About Anna’s Personal Life, Marriage, Children, Husband? Anna is quite open about her personal life, sharing almost every personal detail of her life with fans. Back in 2015, she announced her engagement on her Facebook page to her long-time boyfriend Tim Stuckey. The couple married on the 31st July and the following year moved to Australia. Anna and Tim are parents of a son named Brooks. Anna is not only a television personality, she is also a social media star, on platforms Facebook, Twitter and Instagram. Her official Facebook page has over 100,000 followers, who have enjoyed Anna’s daily posts related to her personal life. Anna is also quite active on Twitter, with over 145,000 followers and she has used this social media platform to promote her career, such as announcing her latest projects. Anna can also be found on Instagram, on which she has over 60,000 loyal fans with whom she has shared daily pictures from her travels. So, if you aren’t already a fan of this prominent TV personality and news anchor, then this is a fantastic opportunity for you to become one, just skip over to her official pages.